This year Belarusians throughout the world celebrate the 100th anniversary of the Proclamation of Independence of the Belarusian Democratic Republic (BNR), the first independent Belarusian state that was proclaimed in March 1918 after more than 150 years of occupation by the Russian Empire. While short-lived, it nevertheless represented the political expression of the Belarusian national consciousness that had grown through the 19th century. The Proclamation of Independence of BNR of March 25th became the most significant date of Belarusian history in the 20th century and symbolizes the resolve of the Belarusian people to have Freedom and Independence. 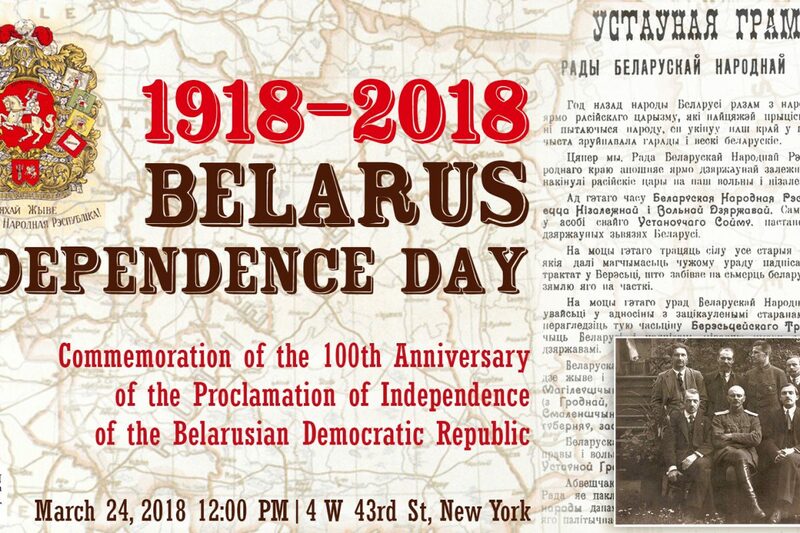 Belarusian community in the Greater New York Area will get together to commemorate this momentous date. The celebration will take place on March 24th at 4W43 Building – SOCIAL HALL at 12:00 PM at 4 West 43rd Street (between 5th Ave & 6th Ave), New York. The commemoration will include a solemn academy and a concert. 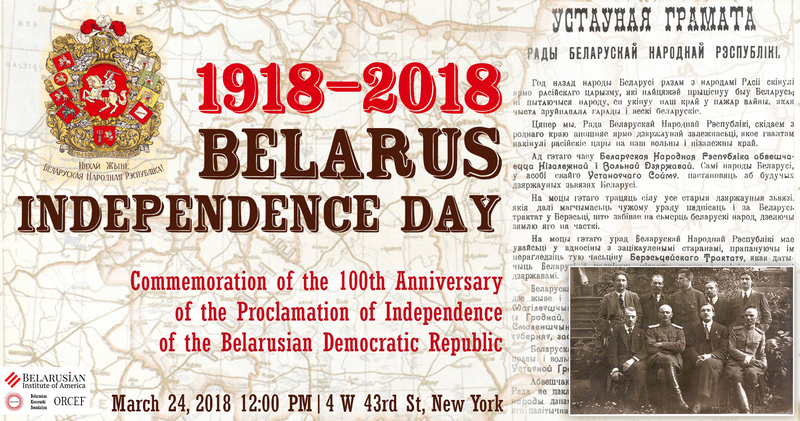 With Belarusian music and food and an exhibition of historical photographs, documents, and artwork, the event will honor the heroes who struggled for Belarusian independence, freedom, and democracy. Please, see the detailed program here. We invite you to join us on this occasion! We look forward to meeting you! Let’s celebrate together!